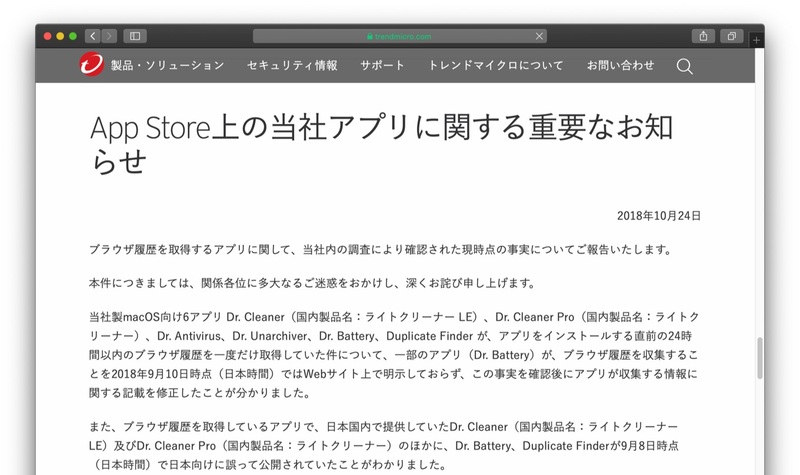 Trend Micro、ユーザーのブラウザ履歴を収集していた「Dr. 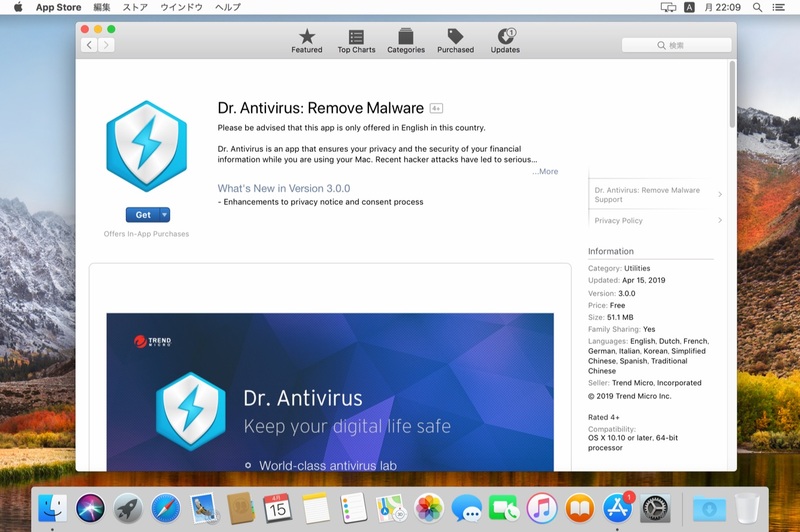 Antivirus」をアップデートし、Mac App Storeでの公開を再開。 | AAPL Ch. Did you have a look at "Network Scanner", Trend Micro app on App Store? Although Data Collection is specified somewhere on their website, user is not aware that all MACs, IPs, SSID, open ports, hostnames are sent back for nearly no added value.